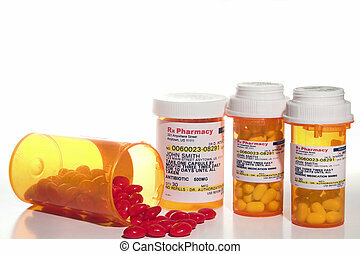 Prescription medication. 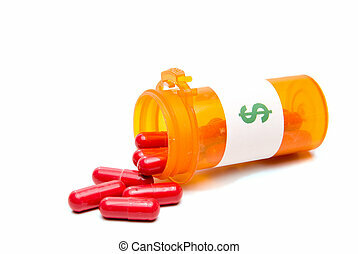 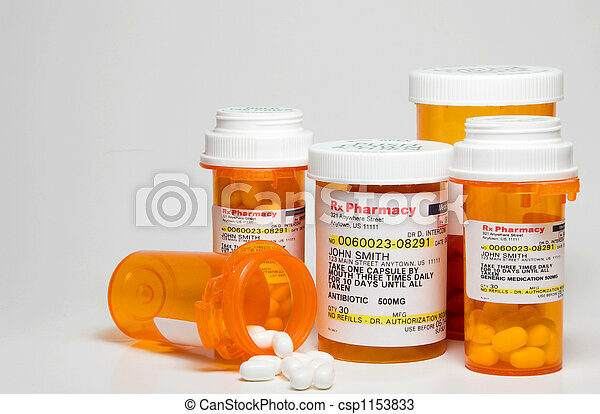 Prescription pills in plastic medicine bottles. 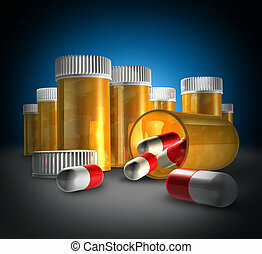 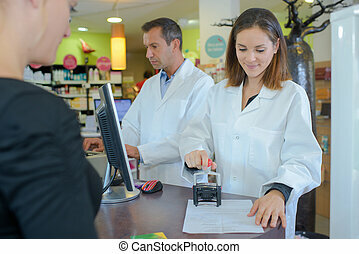 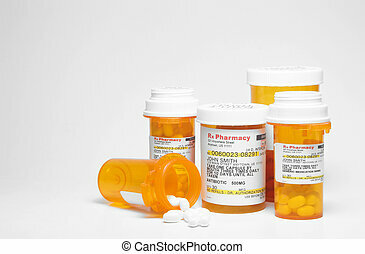 Medicine and medication health care concept with a row of pill bottles with an open bottle and cap as a pharmacy prescription drugs concept for pain killers and narcotics. 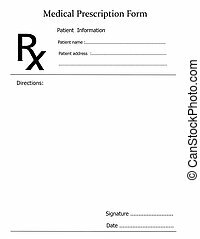 Prescription note representing a doctor's medicine remedy given to a pharmacist. 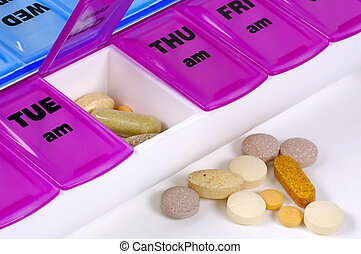 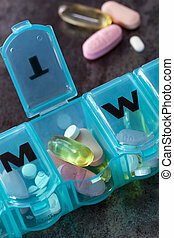 Daily pill box with medications and nutritional supplements. 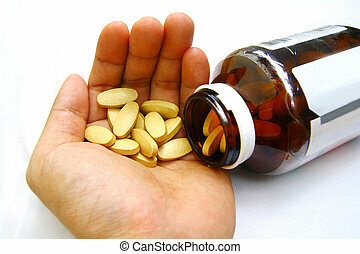 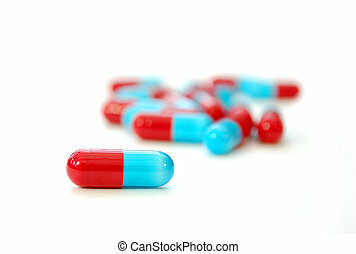 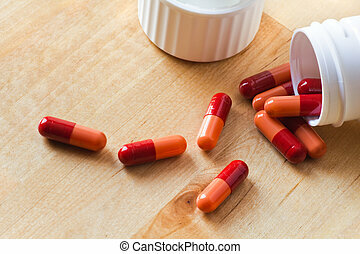 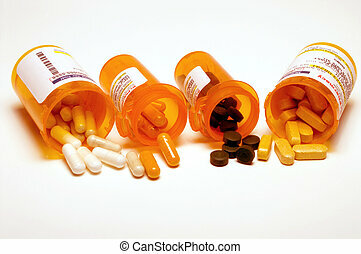 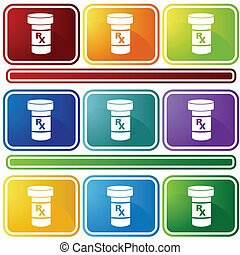 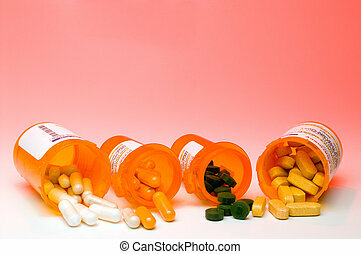 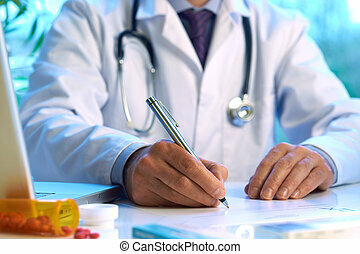 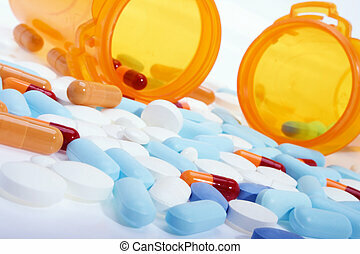 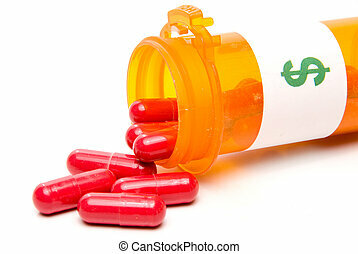 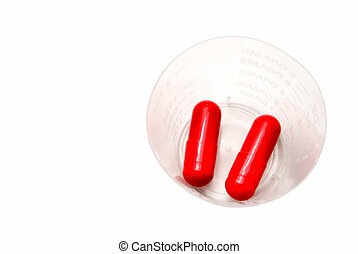 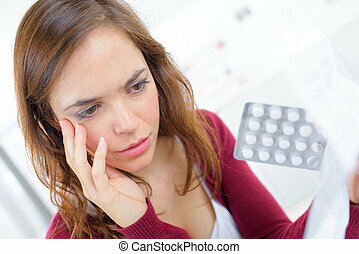 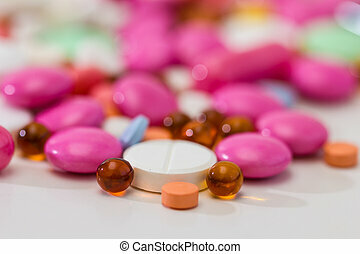 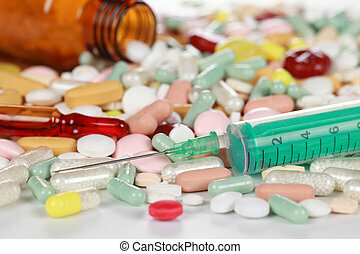 Stock image of pills, capsules and tablets of different colors over white. 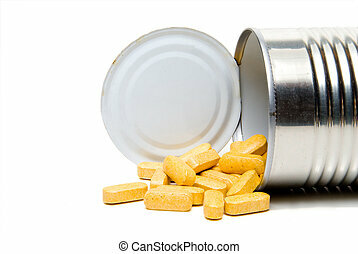 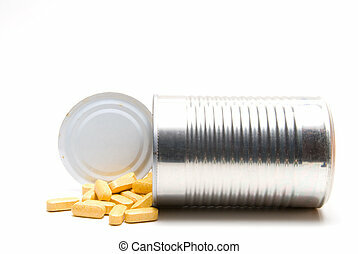 A tin can full of prescription medication. 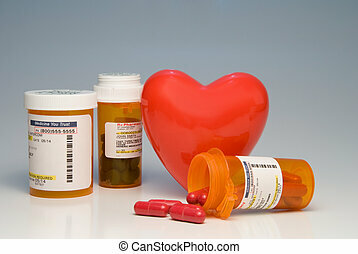 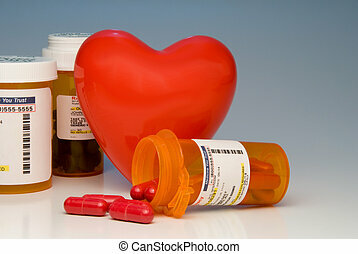 A heart and bottles of prescription medication. 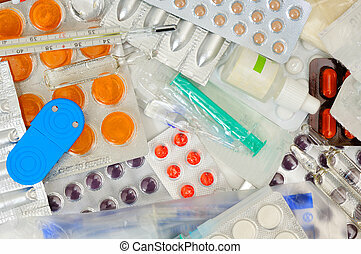 A spilled bottle of prescription medication and three closed bottles. 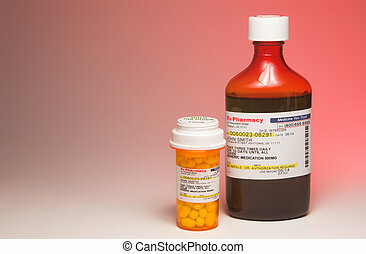 A bottle of liquid medication and a bottle of prescription pills. 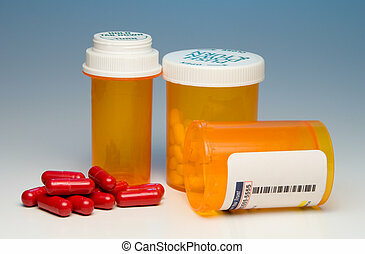 Prescription pills in a plastic medicine bottle. 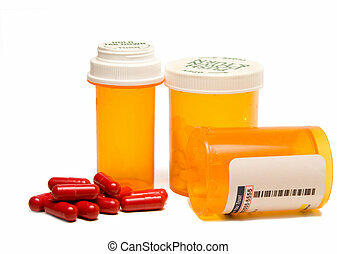 A tin can full of prescription medications. 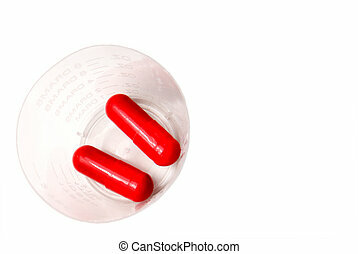 Prescription pills in a plastic medicine cup.